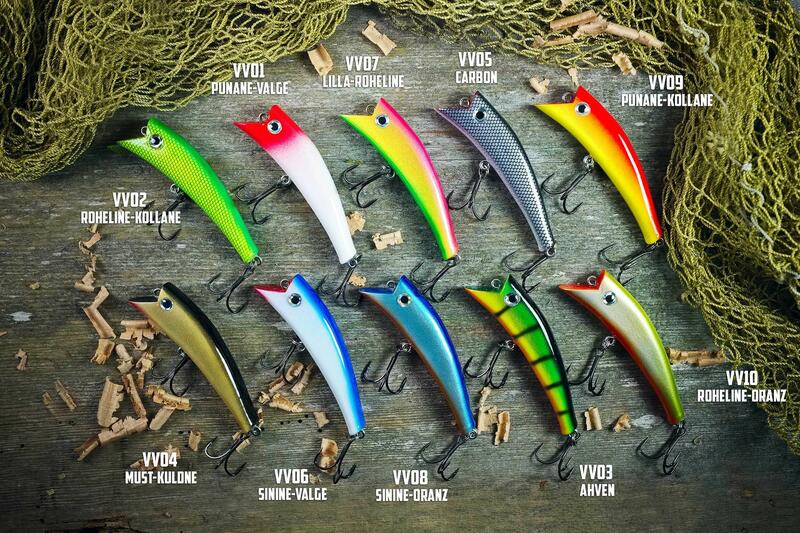 Lures are carved from timber and equipped durable high quality WMC hooks. Read about fishing tips for Vilsandi Võtukas. 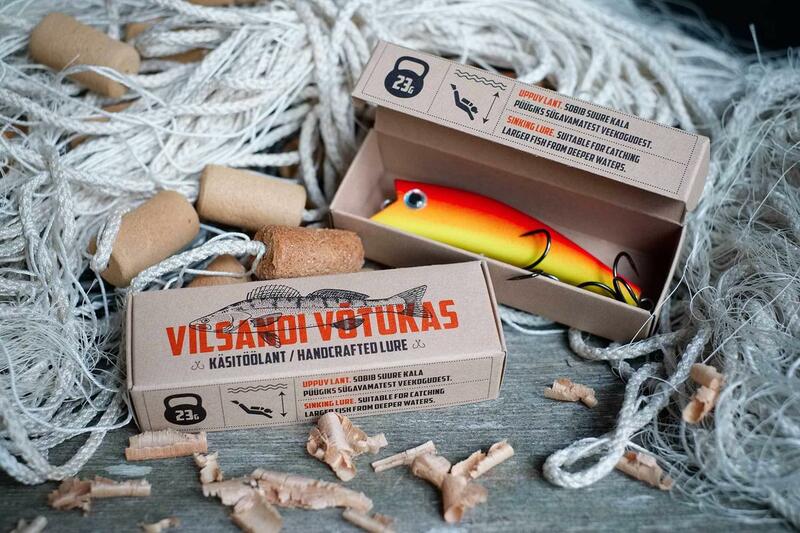 All our lures come with stylish packaging - nice gift for your fishing buddy. 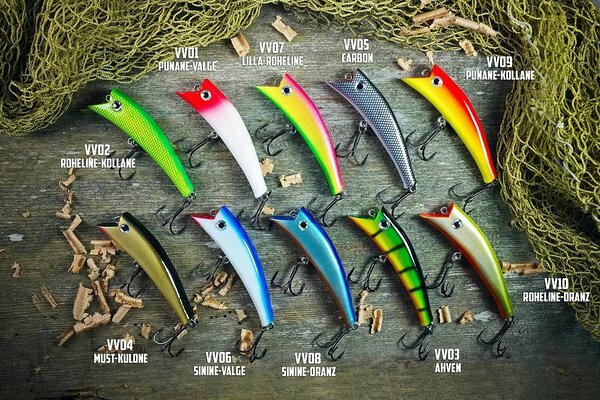 Vilsandi Võtukas has 10 different color combinations. "My violet-green Vilsandi Võtukas is so perfect that I would dive after her if necessary."